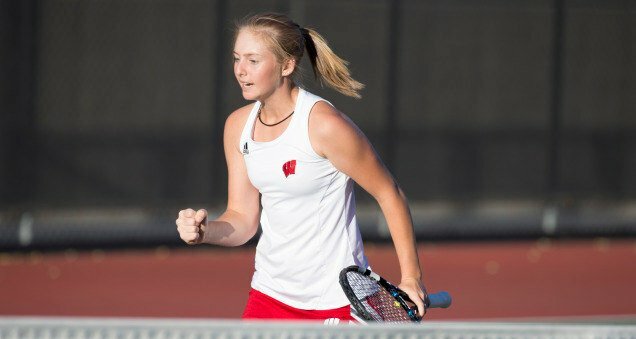 Kelsey Grambeau said her final goodbyes to the University of Wisconsin women’s tennis team with a 4–1 victory on Sunday. Grambeau’s accolades at the university extend far beyond the court though, as the senior is a two time Academic All Big Ten recipient and President of the Student-Athlete Advisory Committee. 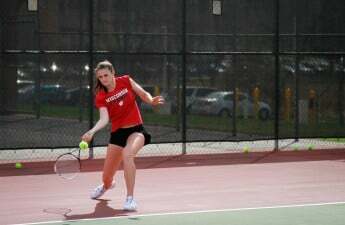 For Grambeau, a dual citizen, her path to playing tennis for the Badgers was not a direct one. Her first involvement in the sport came as a child in her previous home country, Australia. Though she only spent the first eight years of her life there Grambeau maintains her Australian roots not only in her accent but in some of the players she looks up to. Growing up Grambeau was a fan of tennis, watching greats like Australian tennis player Pat Rafter and Martina Hingis on the women’s side. “I like Martina Hingis cause she’s kind of an all court player and I would like to emulate her style of game and Pat Rafter is like a serve and volleyer, and he’s Aussie,” said Grambeau. After living in Australia though, Grambeau and her family moved to Dallas, Texas where she spent her formative tennis years. Out of high school, Grambeau was an impressive four-star recruit winning regional doubles championships in Midland, Texas and Norman, Oklahoma. But Wisconsin — or at least the Midwest — was always on the star player’s mind when looking at colleges. 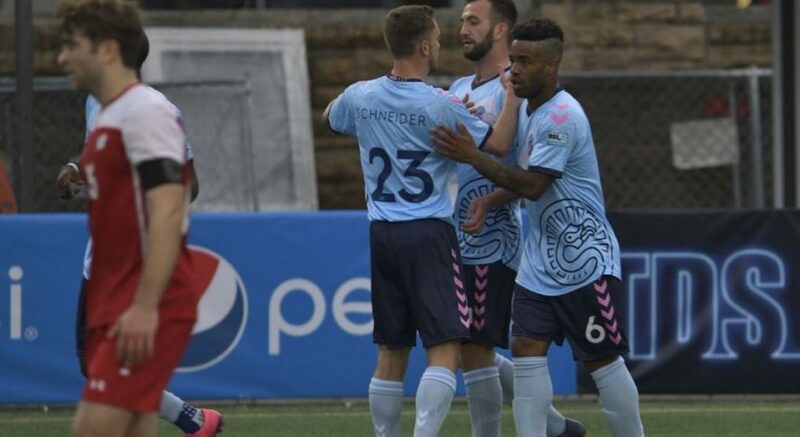 “I looked at a lot of Big Ten schools I really like the Midwest mentality kind of down to earth everybody’s very real in their personalities,” said Grambeau. But her college choice was not solely about tennis. A biology major, Grambeau originally intended to come to Wisconsin for pre-med but now is looking at opportunities in sports management. Some of her most impressive accolades come off the court. Along with her Big Ten academic awards, Grambeau is president of the S.A.A.C., the governing body for student-athletes on campus. While there may be negative perceptions of student-athletes participating in the classroom, this is certainly not the case for Grambeau. “Being a biology major it takes a lot of hours and a lot of work to put in. 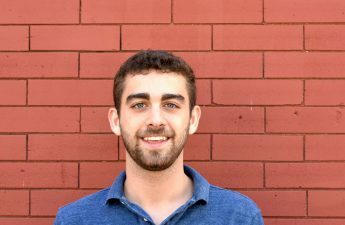 The time management has to be exceptional cause I mean you wake up you go to the training room you go to tennis, weights, conditioning and then on top of that you have classes and with a biology major, you have labs and capstone projects,” said Grambeau. Even with all her, academic and extracurricular commitments Grambeau was able to play superbly on the court for four years with the Badgers. This year, Grambeau usually plays in the No. 1 doubles slot alongside freshman phenom Lexi Keberle. 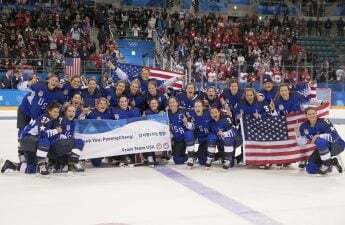 After playing alongside Keberle and some of the other younger players on the team Grambeau views Wisconsin’s future as bright after her departure. 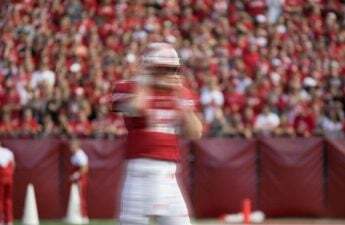 Grambeau will still be a part of the team this year from the sidelines as the senior is set to graduate this December. But after such an impressive collegiate career from Grambeau, it is reassuring to know that bigger things should be in store for women’s tennis at Wisconsin.